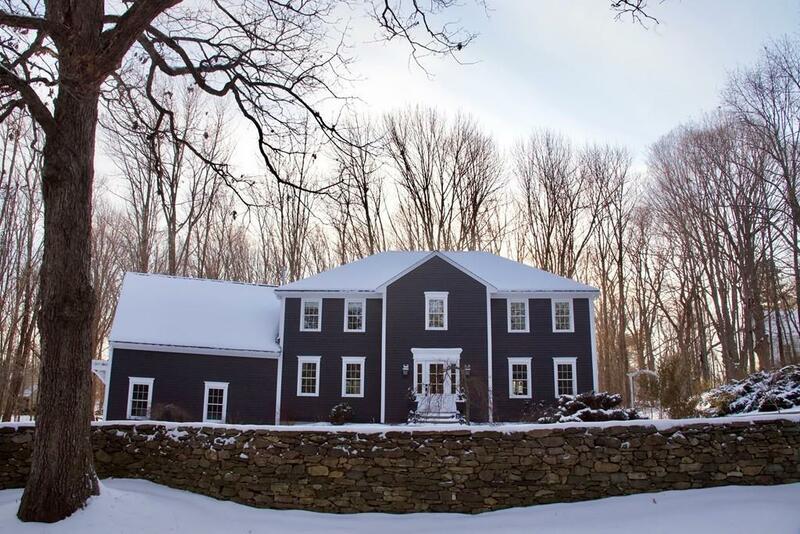 Classic Federal Front four bedroom Colonial on 2.16 private acres. Beautiful stone walls, pergola over private deck, stone patio and fire pit make this home great for entertaining. . Tastefully decorated and in move in condition. Welcoming foyer, large front to back fire placed family room with sliders to back deck.. Dining room is open to the living room with built in bookcases. Cabinet packed kitchen includes gas stove, dishwasher, refrigerator and microwave oven. Second floor bonus room is currently being used a playroom.. First floor mudroom/laundry leads out to a 2 car attached garage. Need a private office/work space, it has that too! !